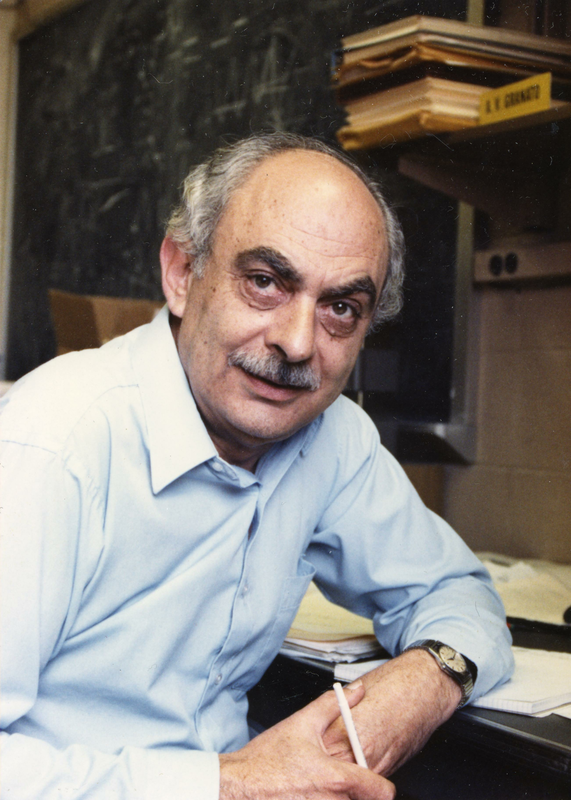 Professor Emeritus Andrew V. Granato was an internationally recognized condensed matter physicist and a leading authority on dislocation dynamics. He joined the faculty at Illinois in 1961. He was a key player in the development of the Materials Research Laboratory in the College of Engineering, where he maintained a large research program, applying both theoretical and experimental approaches to his study of the structural weaknesses and imperfections in materials. His fundamental research on material defects produced by radiation damage contributed to the early design of nuclear power reactors. The primary advisor of 32 PhD students during his five decades at Illinois, Andrew Granato strongly valued fundamental research, not only for its own worth, but also for its role in training the next generation of scientists. He continued actively to conduct research at MRL as an emeritus professor after his retirement in 1995, with his last journal article appearing in 2014.